The FuG 200 "Hohentwiel" was a maritime patrol radar system of the German air force in World War II. It was developed by C. Lorenz AG of Berlin starting in 1938. The device had originally been entered into a design contest held by the Luftwaffe for the new FuMg 40L (ground based fire-control radar). When competitor Telefunken won that contract with its „Würzburg radar“in 1939, the device was shelved. In 1941, Lorenz started to re-design it for another design contest by the Reichsluftfahrtministerium for an airborne naval search radar. 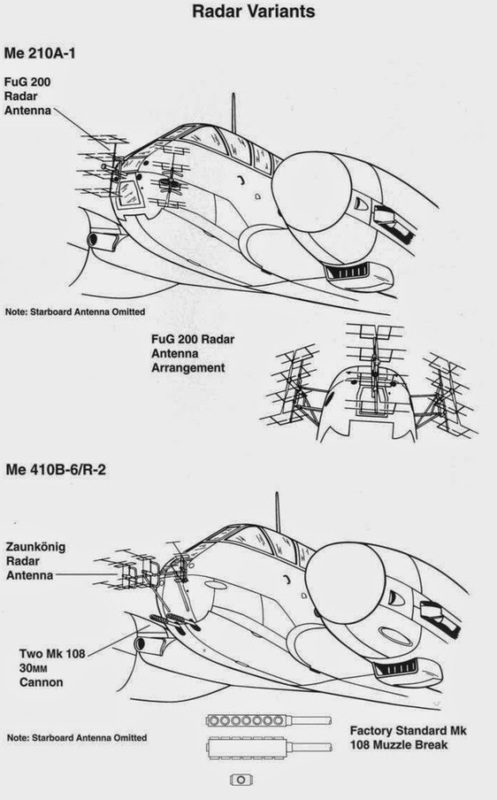 As no special antenna had been specified, initially the simplest possible layout with three transversely-arranged antenna arrays was chosen - the central one for transmitting and two others for receiving, one each to port and starboard of the central transmitting array. Each antenna array possessed sixteen dipole elements, in eight sets of two elements each, with each set of four dipole groups vertically stacked comprising each array. For rough guidance, the radio operator had to manually switch the receiving arrays. Later, the device received a motor-driven antenna switch. The received signal strength was displayed on a cathode ray tube so the observer or pilot could roughly gauge the target's heading as 'left', 'right' or 'head on'. The maximum range was 150 km for convoys on the Atlantic. The device was first deployed on Junkers Ju 88, Focke-Wulf Fw 200 and other torpedo bombers. In order to avoid capture after a crash, it was fitted with several small self-destruct explosive charges in each of the system's electronics cabinets, which could be triggered by the pilot. After complete redesign, the Me 210 reemerged in 1943 as the Me 410 Hornisse (hornet). Although quite similar in appearance to the Me 210, the Me 410 incorporated many modifications, namely adapted tailfin and lengthened fuselage, overcoming the Me 210’s longitudinal stability problems, and two Daimler-Benz DB 603G 12-cylinder, liquid cooled engines, each developing 1,900 hp. The result was a greatly improved aircraft. 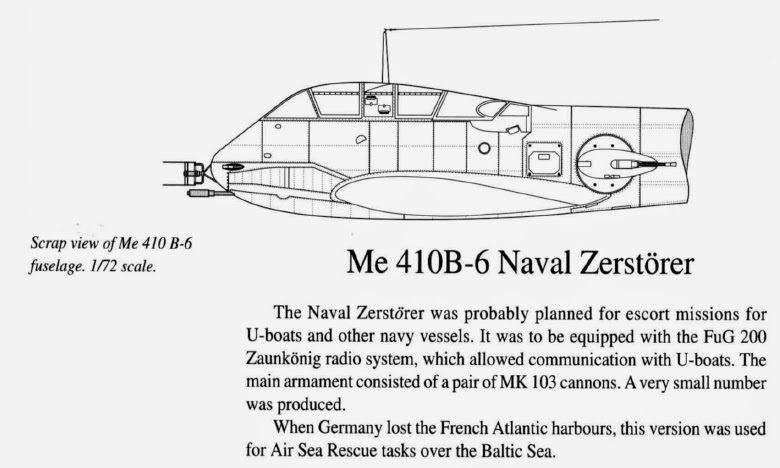 The Me 410, engaged in operational service in May 1943, achieved more success than its predecessor and served in a reconnaissance role (then fitted with cameras), and with various armaments as torpedo attacker, glide-bomb carrier, intruder, bomber/destroyer, and night fighter. The Me 410, in spite of technical innovation and powerful armament, was never a pronounced success, and production stopped in 1944, after over 1,160 units were produced. After the Allied landing in Normandy in June 1944, all Messerschmitt Me 410s were withdrawn from combat operation.